One of the most contentious legal and moral issues of recent years has been assisted suicide. This is in stark contrast to the concept of euthanasia, which is the act of someone else ending a terminally ill patient's life with their acquiescence. Those in favor of allowing the dying to end their lives at their convenience argue that assisted suicide lets them end their suffering quickly with compassion and dignity. Their new strategy is to change their discourse to reflect that it is a patient's choice. Additionally, they aim to call the process assisted dying, removed from all connotations of "mercy killing." Those against the idea argue that doctors, having taken the Hippocratic Oath to protect and maintain life. Therefore, they are morally obligated to do everything possible to keep their patients alive, even if the patient wants to die. Other arguments against allowing the severely ill to end their lives is that less scrupulous doctors may not act in the best interests of the patient. Instead, these doctors may be more influenced by financial considerations. The anti-assisted suicide supporters also argue that the terminally ill may begin to consider themselves burdensome on others, which they view as not a valid reason to end their life. Articles like this will help to understand the subject to properly write an essay about it. The law in most nations remains firmly against either euthanasia or pro-assisted suicide. Only the Benelux countries of Belgium, the Netherlands, and Luxembourg allow euthanasia while assisted suicide is legal in Switzerland and in the US states of Oregon, Montana, and Washington. 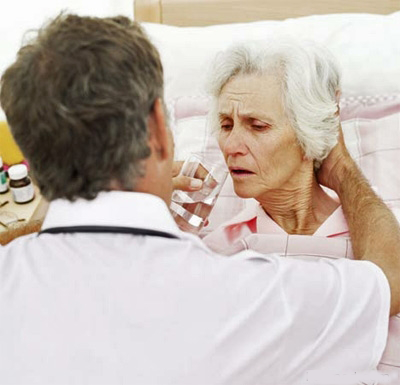 In those US states where physician-assisted suicide is legal, there are strict criteria that each patient must meet before proceeding. A doctor and other witnesses must confirm that the patient requesting help to die is of sound mind and that they are diagnosed with a terminal illness. The doctor can then prescribe a lethal dose of medication that the patient can take to end their life. While all US states have the right to introduce or prohibit pro-assisted suicide, all attempts to introduce a state law allowing the procedure have so far ended in failure. What is legally binding is a "living will," a legal document in which patients can attest that they do not want doctors to keep them alive if they become terminally ill, fall into a coma, or are in a persistent vegetative state. Living wills are now commonplace across the world. In the UK, a 2012 report by the Commission on Assisted Dying concluded that there is a strong case for allowing assisted suicide for the terminally ill. Additionally in 2012, a man suffering from "locked-in syndrome" has taken his case for the right to die to the UK's highest court. Tony Nicklinson, 58, suffered a series of strokes and can now only communicate by blinking or with limited head movement. While he is not arguing for the introduction of a law allowing euthanasia or pro-assisted suicide, Mr. Nicklinson has asked judges in the High Court to rule that any doctor who does help him to end his own life will not be subsequently charged with murder. As present, the UK legal system currently prosecutes anyone involved in helping another commit suicide.